Check out these stunning top 20 bridal shoes for pre-bridal ceremonies and your wedding day! 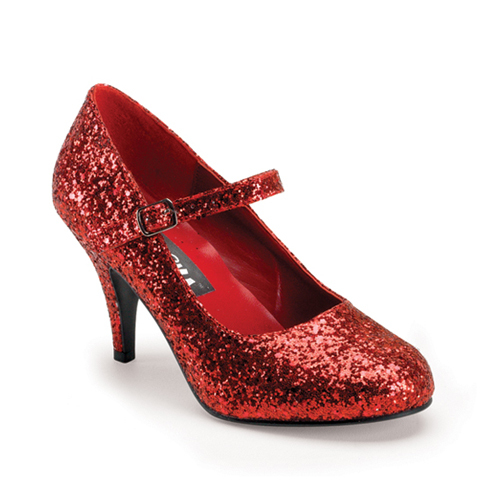 On the wedding day, it is imperative for a bride to wear an extremely comfortable pair of shoes. But, it doesn’t mean that she has to opt for simple footwear. With so much effort gone into choosing your wedding lehenga, looking for the best makeup artist in town to flipping through all the hair-pages of the bridal special issue of your favorite magazine, so why at all compromise on your shoes! One thing is for sure, that the wedding shoes need to compliment your attire. Right color, pretty embellishments, perfect size, just the right style..all this matters a lot. There are tonnes of styles available to choose from. It can get really crazy for a bride-to-be to not to be splurging on her bridal shoes. From kitten heels to pumps, stilettos to wedges, platforms to slingbacks, mules, T-straps, peep toes, scarpins, Punjabi ballerina flats and jelly shoes.. there are so many styles with all sorts of embellishments, such as sparkles, glitters, rhinestones, embroidery, crystals and mirror work. Depending upon your height, personality and style preference, you can either opt for a heavily embellished pink ballerina flats to go with the salwar kameez on mehndi night or a silver T-strap with crystals all over, worn under that stylish saree you have chosen to wear on the cocktail night, or the hot red pumps with your designer lehenga on the wedding day. 1. 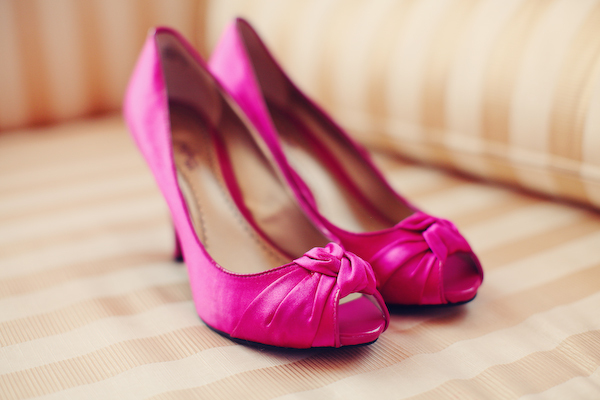 Take enough time while selecting your bridal shoes: Try it out as many times as you want to. If you are not sure of the size, then don’t even think about picking them up. Once, purchased, come back home and try them out again. Before the wedding day, Zuri recommends you try them out yet again. Afterall, nobody would like the bride to wobble down or walk uncomfortably or have blisters all over her feet. 2. Don’t have to necessarily go for red: Although red is the color for an Indian bride and it is pretty trendy too. However, if they aren’t going well with your attire and makeup, then forget about them. Instead, try out a different bright, pop color, perhaps an orange! Besides, these colors are re-wearable. Take them along on your honeymoon. 3. Shop for an extra pair: The entire pre-wedding week can be chaotic and quite stressful for a bride-to-be. Shoes can get lost in the hullabaloo, can break and can get stolen too. Best, to keep an extra pair ready. Zuri also recommends you to get your pedicure done atleast 2 days before the mehndi night. Wear a pretty nice nail color that compliments your wedding attire. Most importantly, go for a pair of comfy shoes that suits your style and personality. Flaunting the right footwear on the wedding day keeps your feet happy and you at ease.